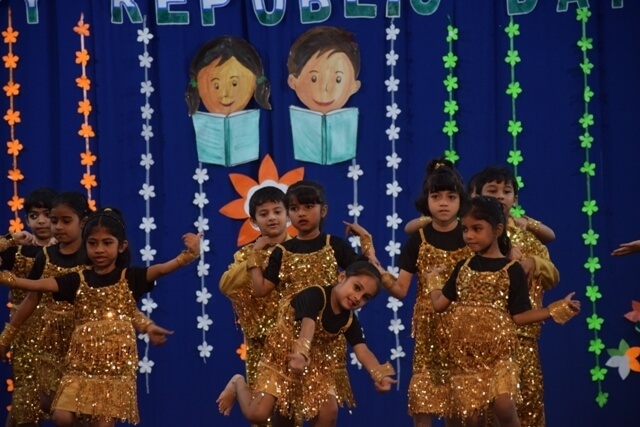 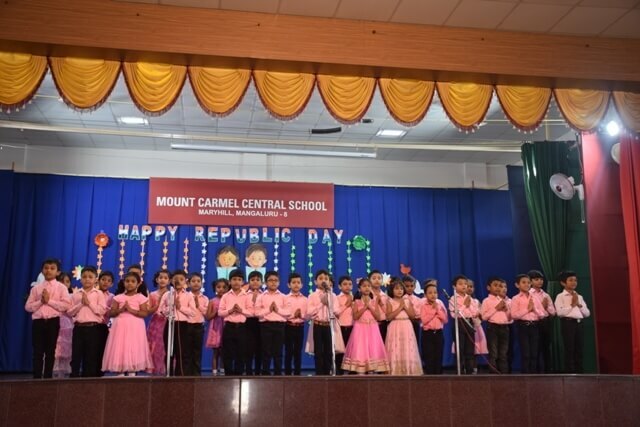 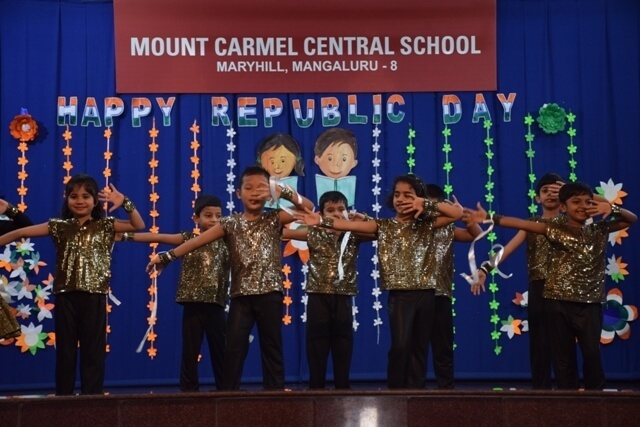 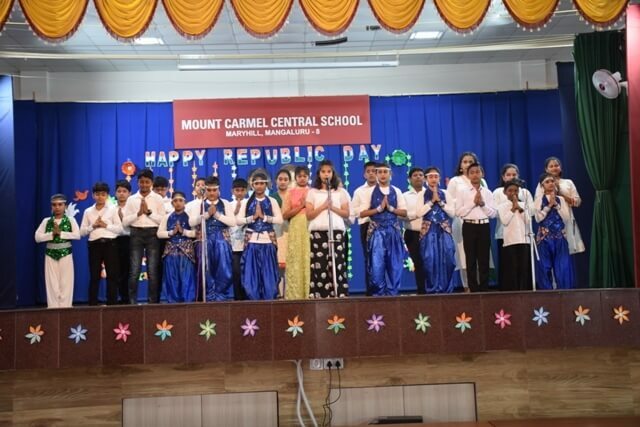 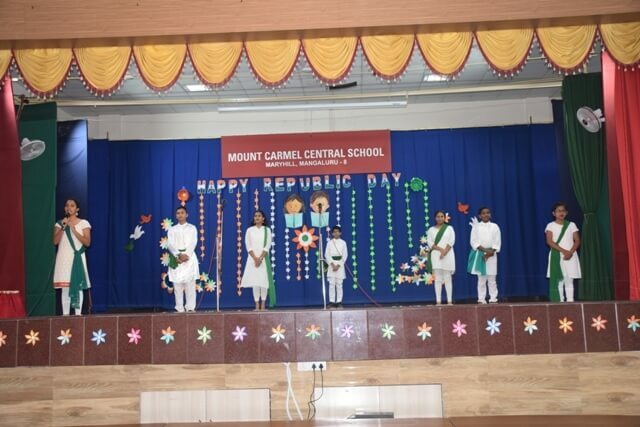 The 70th Republic Day of our great Nation was celebrated with pomp and patriotism at our School on 26th January 2019. 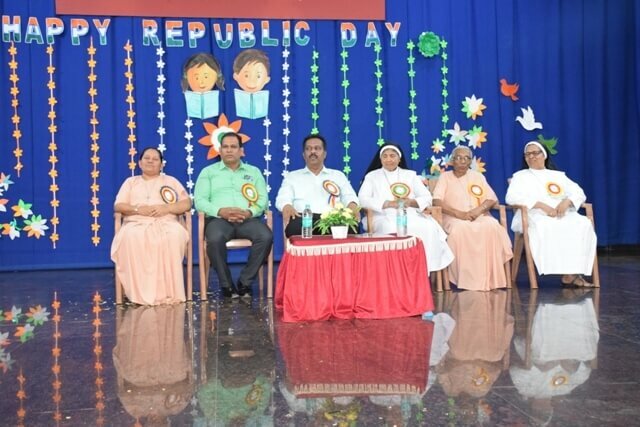 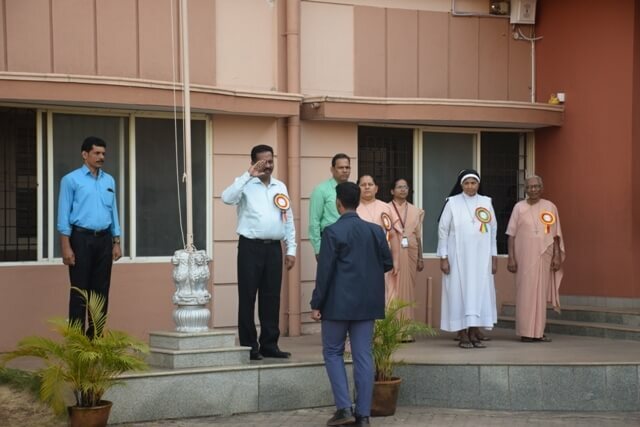 The Chief Guest, Mr. Norbert Lobo, H.O.D and Associate Professor of Economics, St. Aloysius College, escorted by the Principal Sr. Melissa, members of the management and Mr. Ryan Lobo, Vice President of the PTA, hoisted the flag. 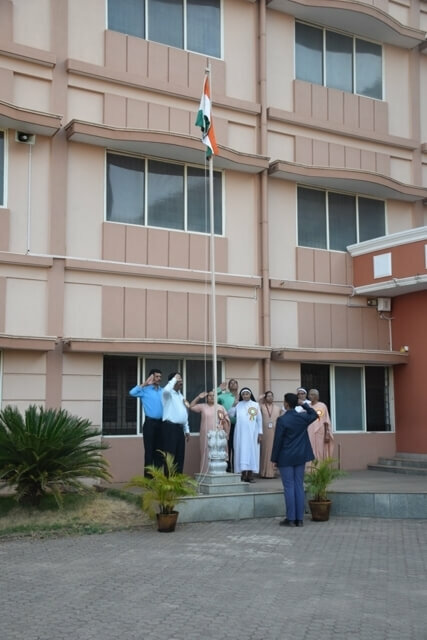 As the beloved tricolour fluttered majestically high overhead, the National Anthem was sung solemnly while the students and staff saluted the National flag with great pride. 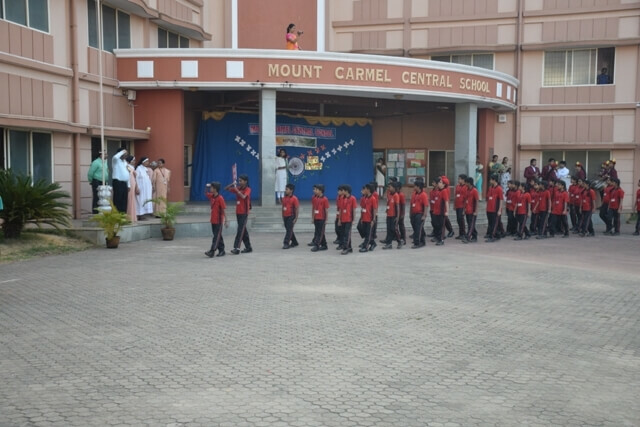 The school band swung into action for the traditional and colourful March Past. 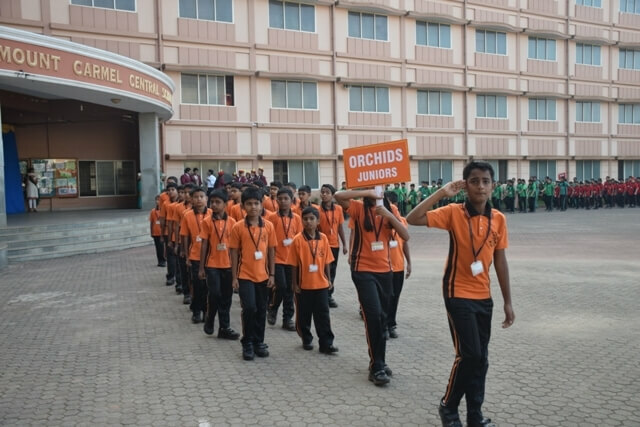 As the students of classes 4-10 marched with zest and pride, the rhythmic movement of the hands and feet of the students marching in unison to the beats of the band, transported one to the Parade Grounds where the Grand Parade is held every year marching through Rajpath towards Red Fort Grounds in New Delhi. 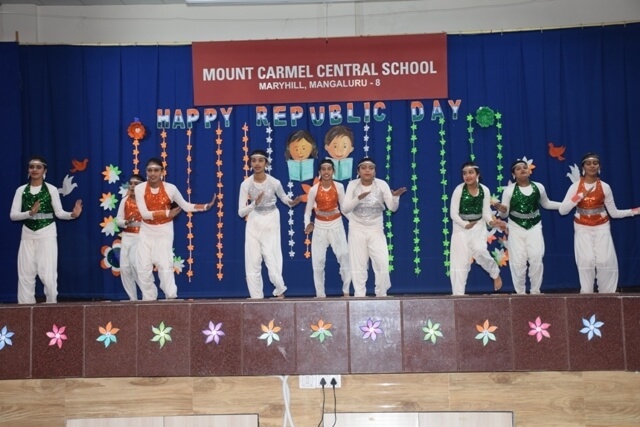 This was a truly inspiring sight which sent waves of patriotism to all assembled. 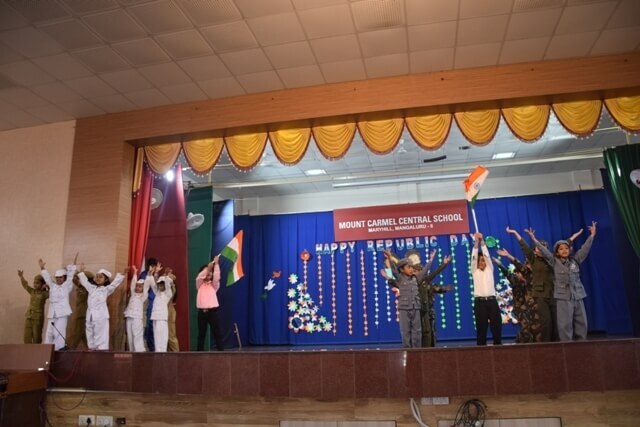 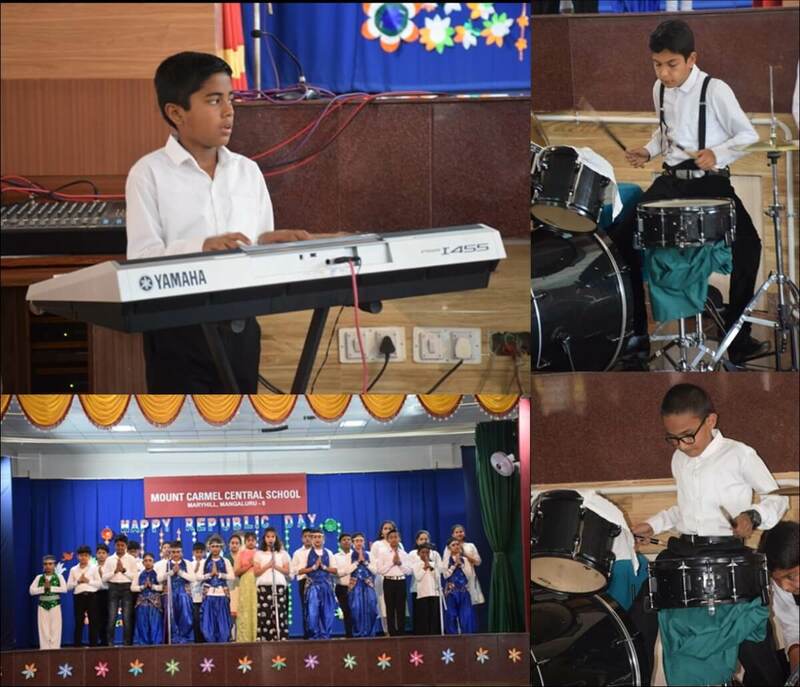 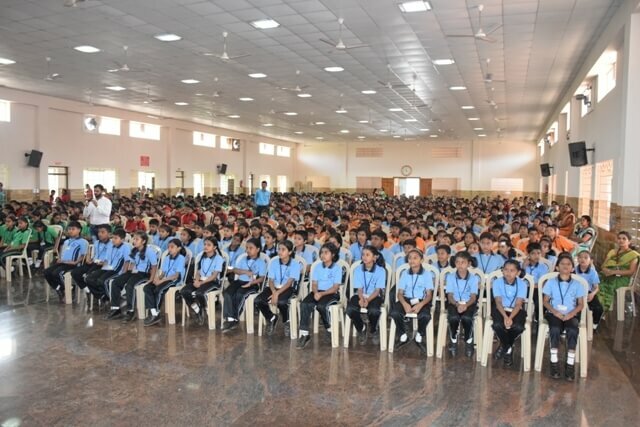 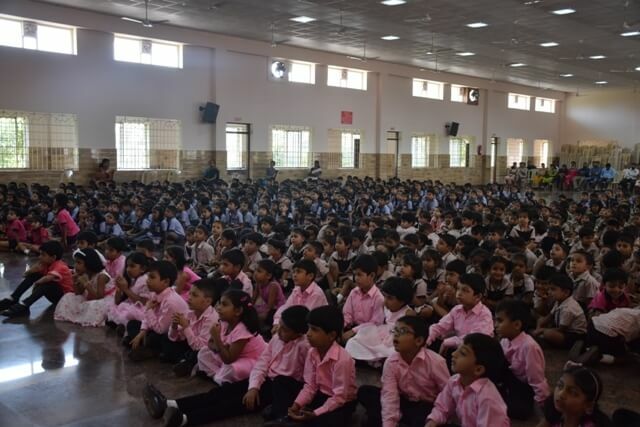 The cultural program then followed in the school auditorium by the students of Class VI C and D. It began with a prayer invoking God’s blessings. 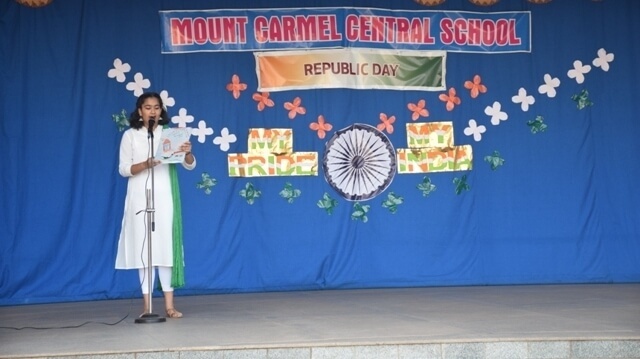 Riya of Class VI D then warmly welcomed the audience. 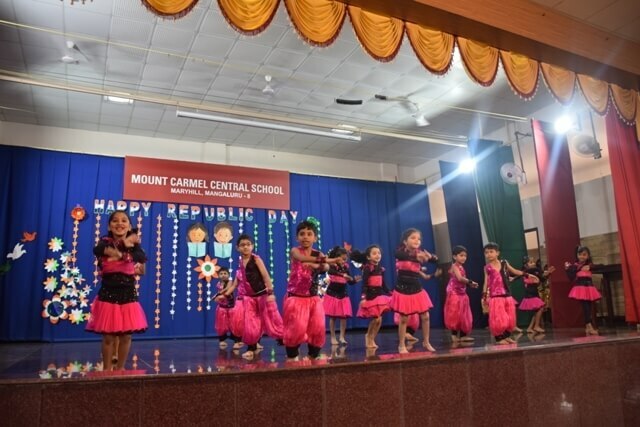 A colourful and joyous welcome dance lit up the atmosphere. 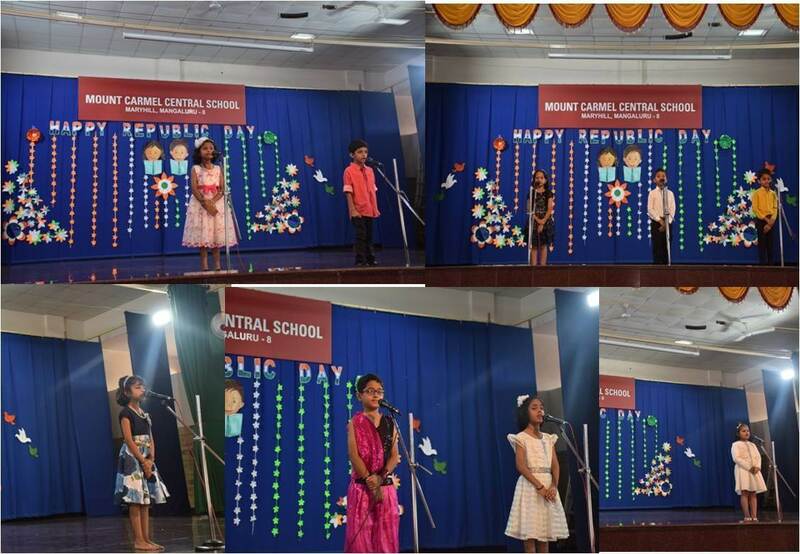 A group of students brought home to the audience the significance of the day, highlighting the preamble of Indian Constitution. 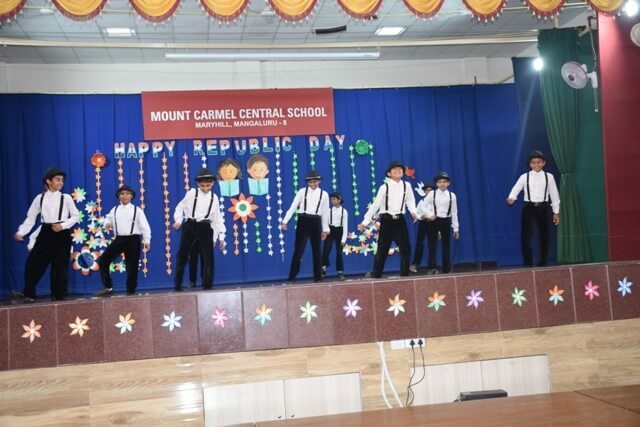 This was followed by a feisty dance by the boys of Class VI. 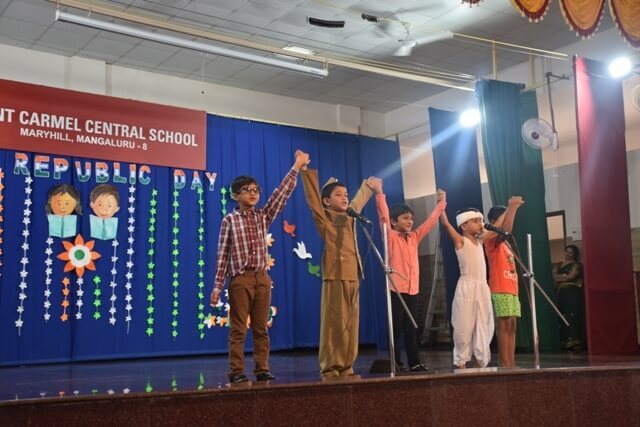 A play was performed, based on the 11 fundamental duties of every citizen of India, to enlighten the audience on this occasion. 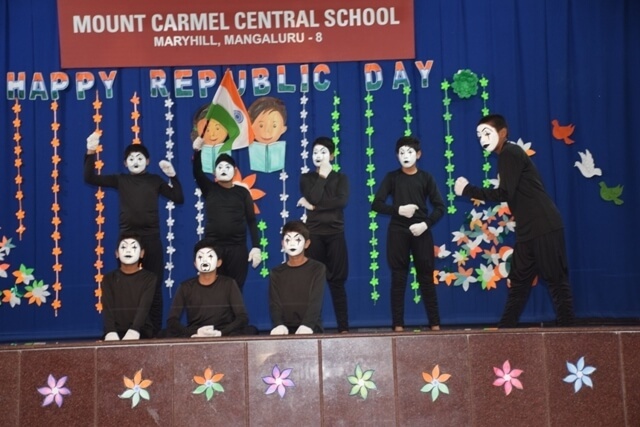 A melodious song dedicated to our country was sung which was followed by a beautifully performed mime on freedom fighters. 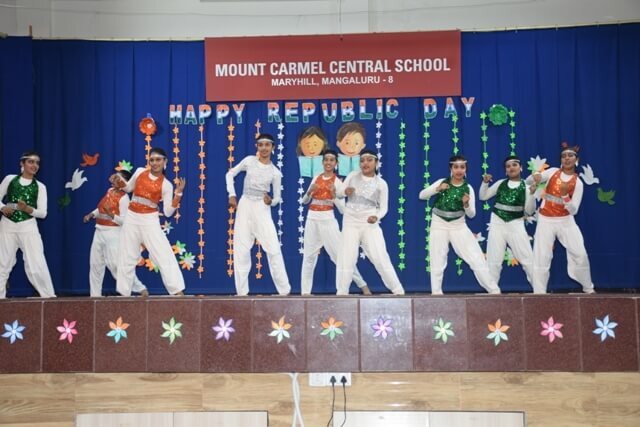 A very graceful and lively dance by the girls of Class VI set every heart racing and every body swaying, as it held the audience in a trance. 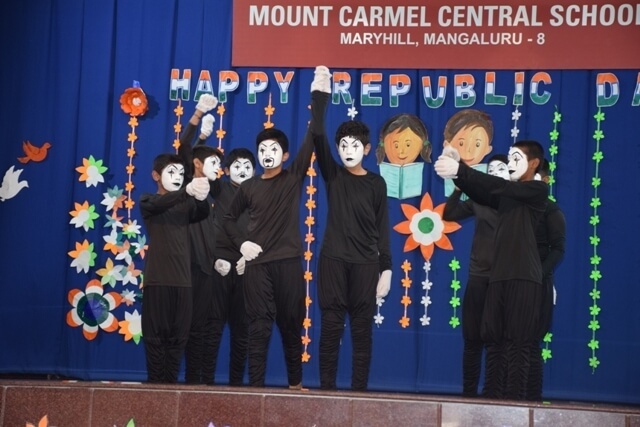 There was a surprise event, a Yakshaghana, which while adding local colour to the celebration, was very meaningful and aptly brought out the essence of the Republic Day in a typical Dakshina Kannada Yakshagana style. 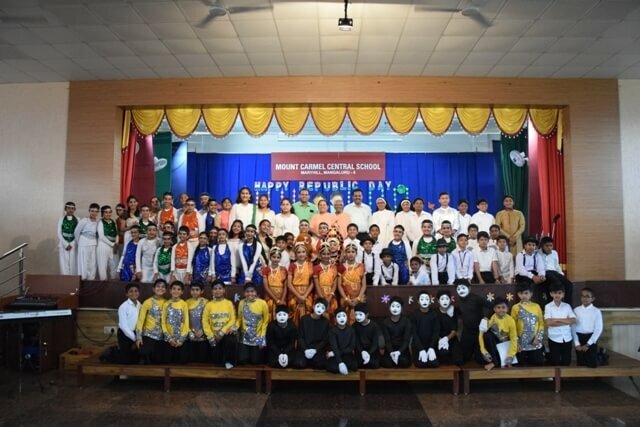 It took the audience by surprise and was greatly enjoyed and appreciated by everyone. 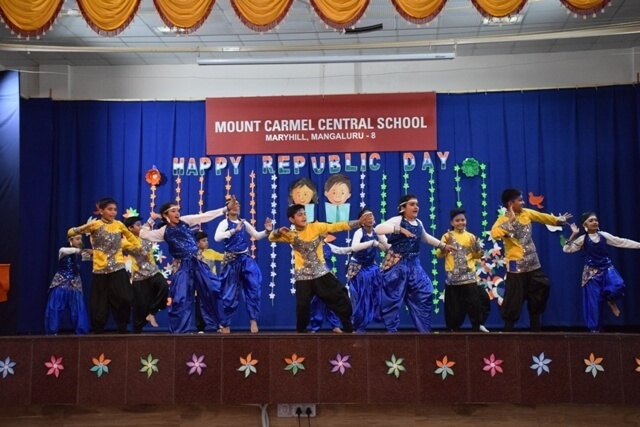 A fusion of dances sent the auditorium rocking, pulsating and throbbing to the vibrant music, and received wild bursts of applause from the excited audience. 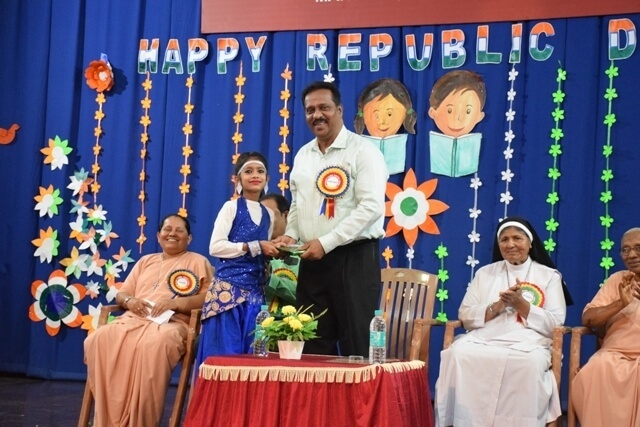 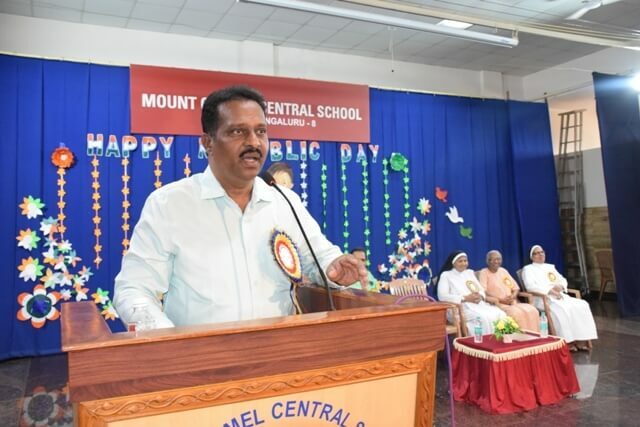 The Chief Guest Mr. Norbert Lobo first congratulated the students and teachers on the March Past and cultural programme which he appreciated greatly saying that it covered everything that he had planned to say. 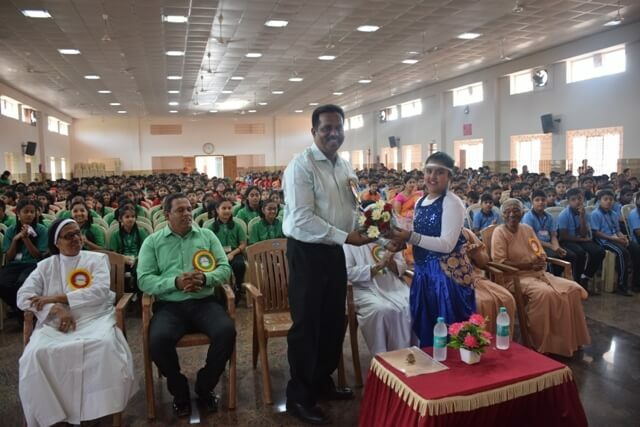 He then gave a short and meaningful message to the students, very relevant to the present scenario, “Change yourself before you try to change others.” If we do this, then the family, the society and ultimately the nation would also change for the better. 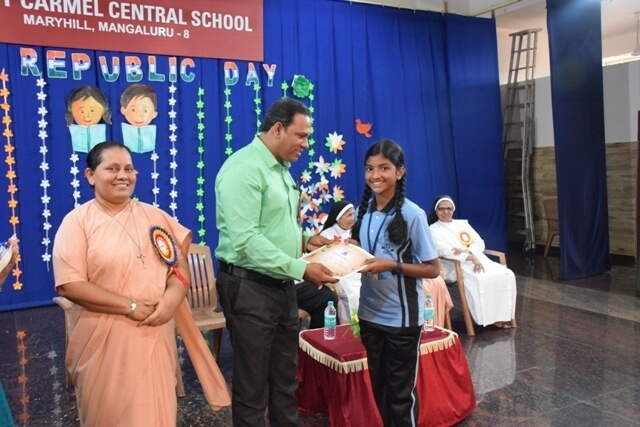 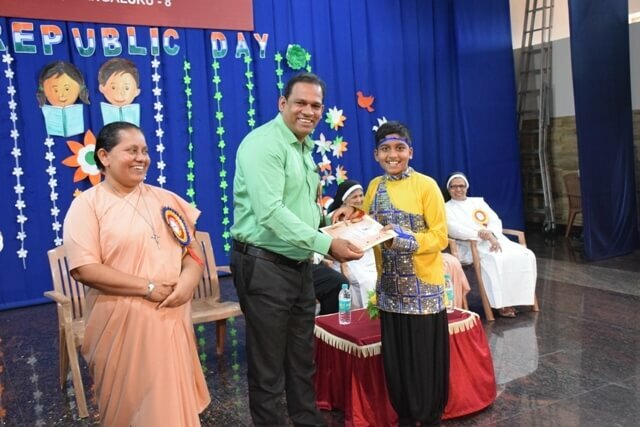 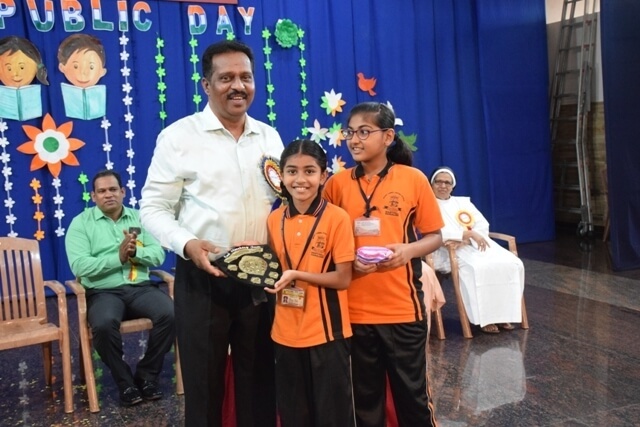 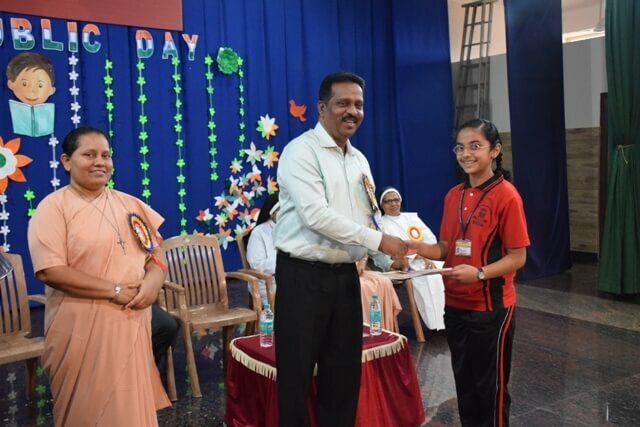 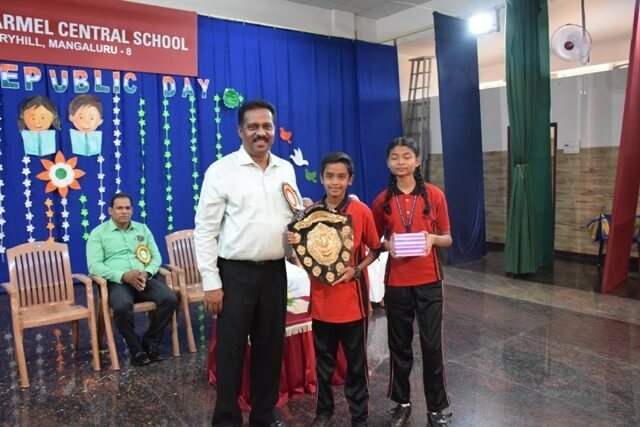 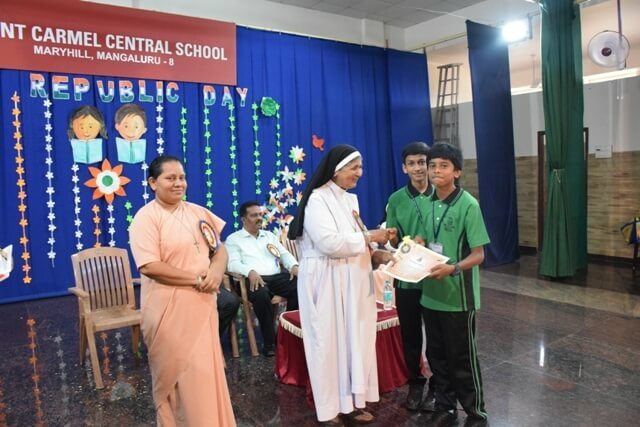 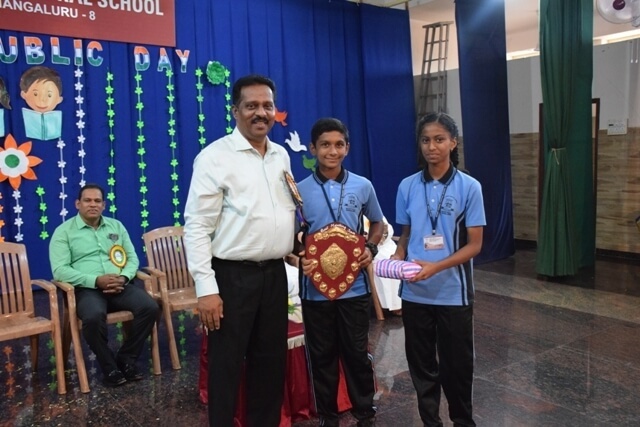 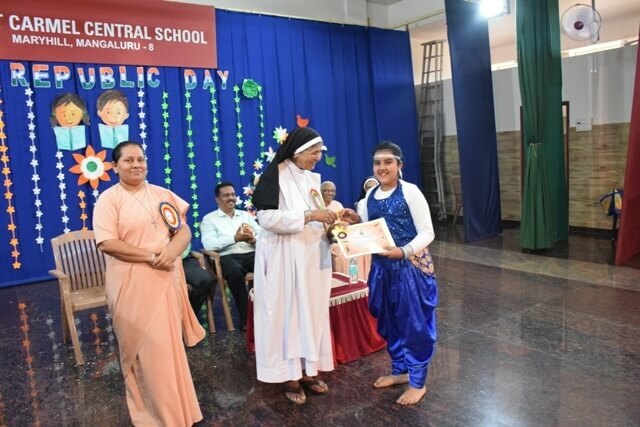 Winners of various competitions held in the school during the present academic year were felicitated for their achievements. 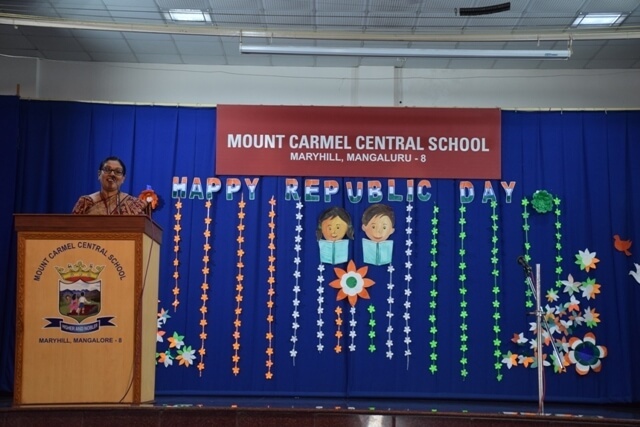 The celebration of the 70th Republic Day was concluded with Dillan Miranda expressing gratitude on behalf of the school. 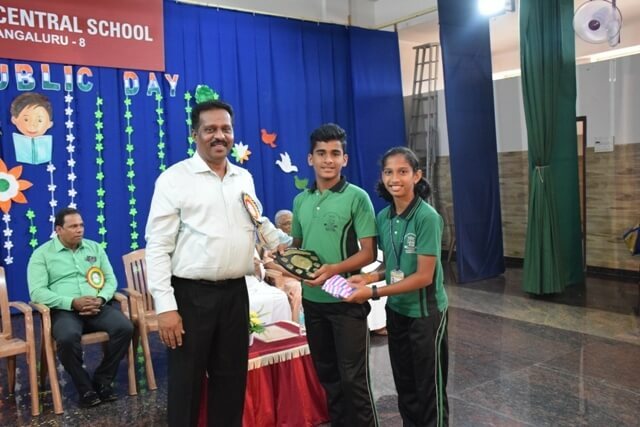 Ashel, Arman and Prathusha compared the programme. 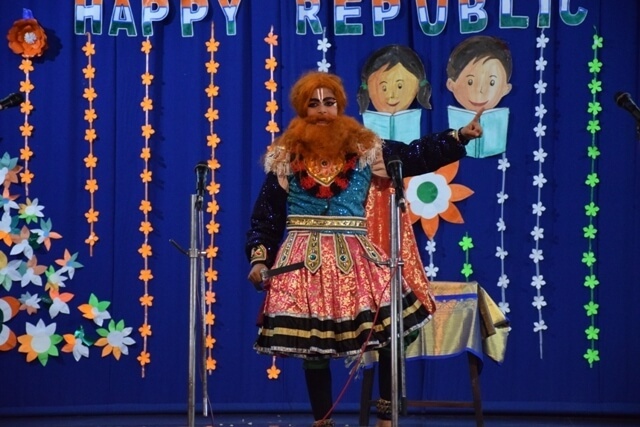 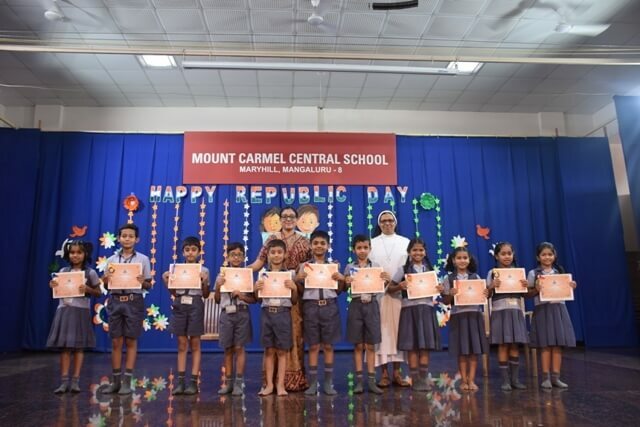 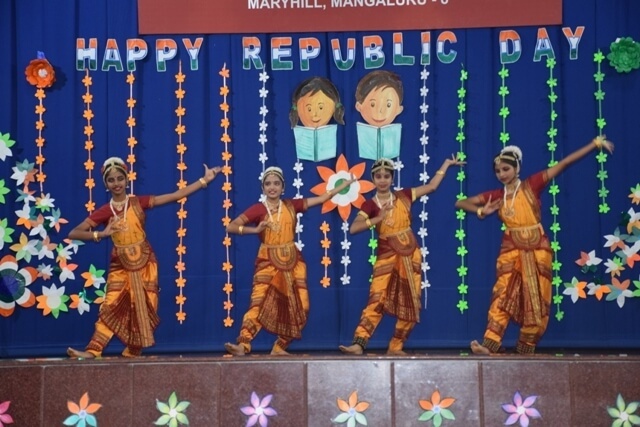 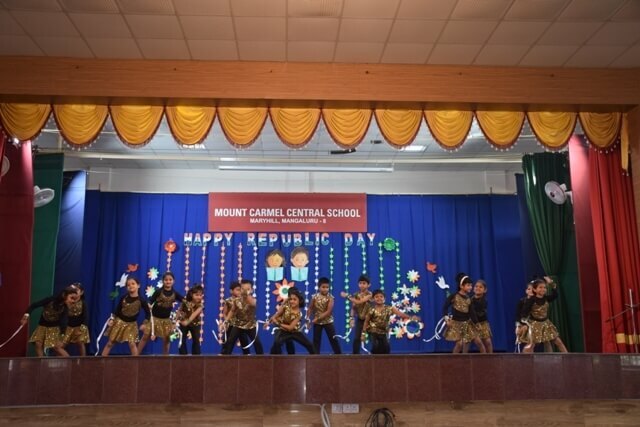 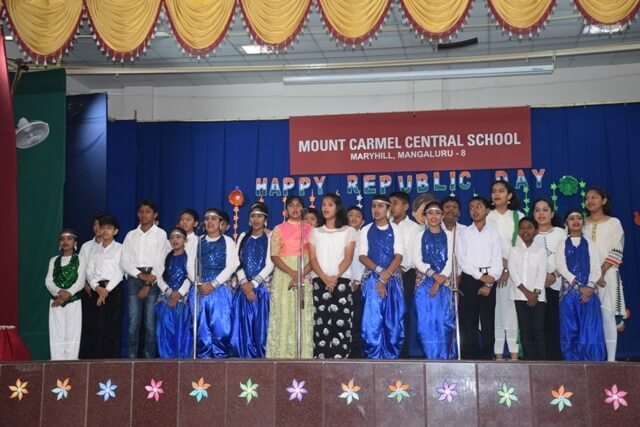 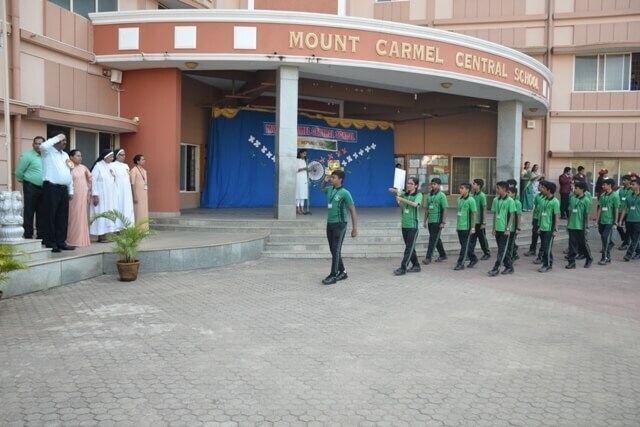 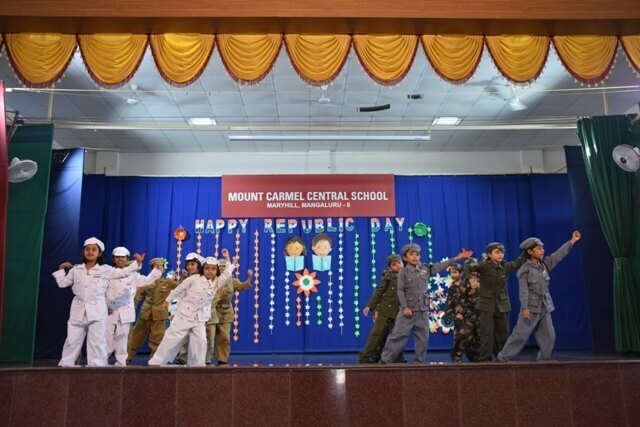 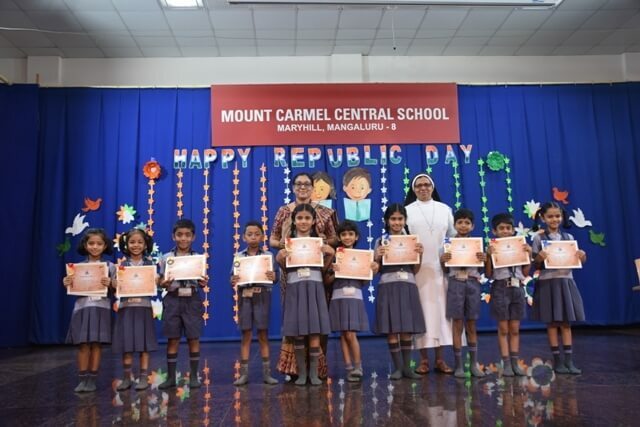 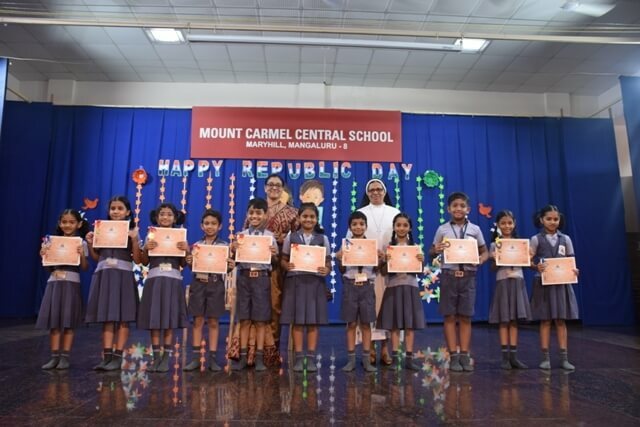 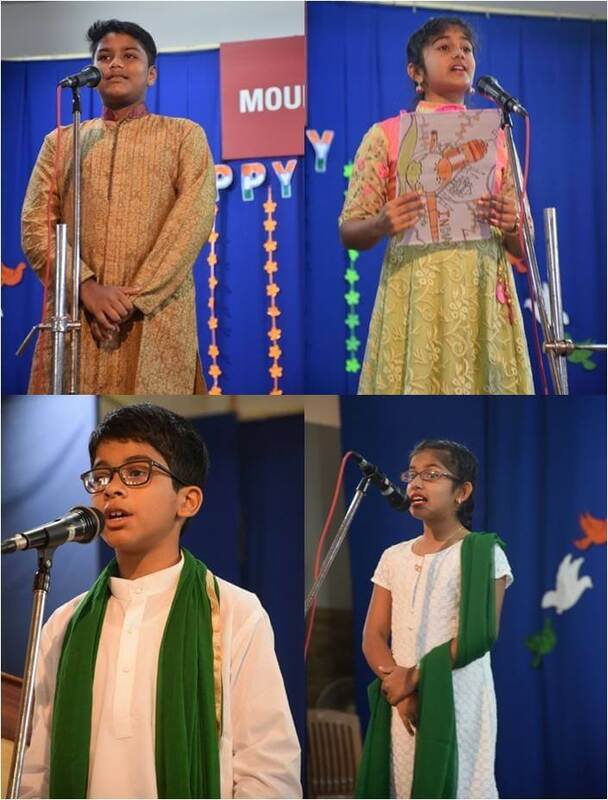 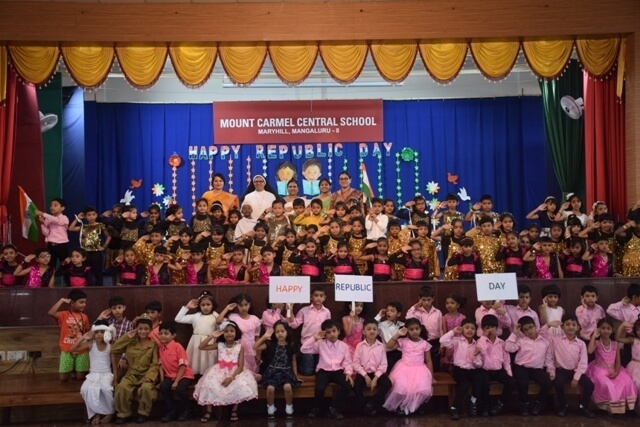 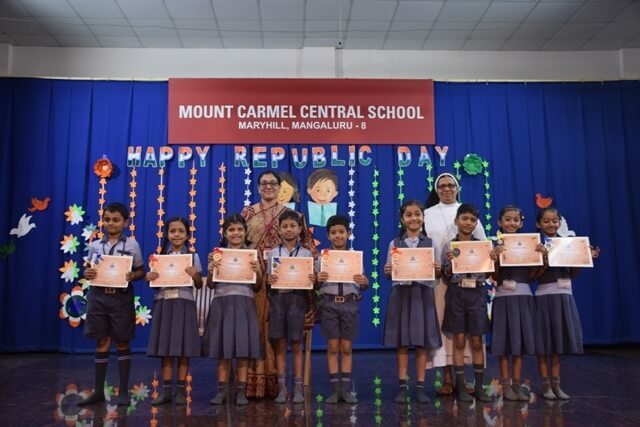 On the previous day, the students of Class I A, B and C celebrated the Republic day for juniors. 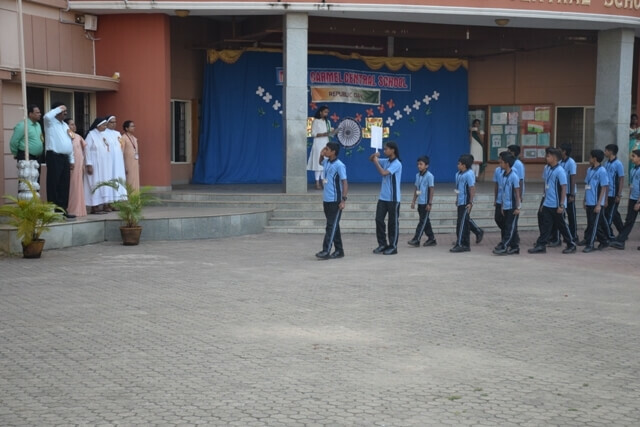 The celebration commenced with the taking of a pledge to live for our Nation till the last breath of our life. 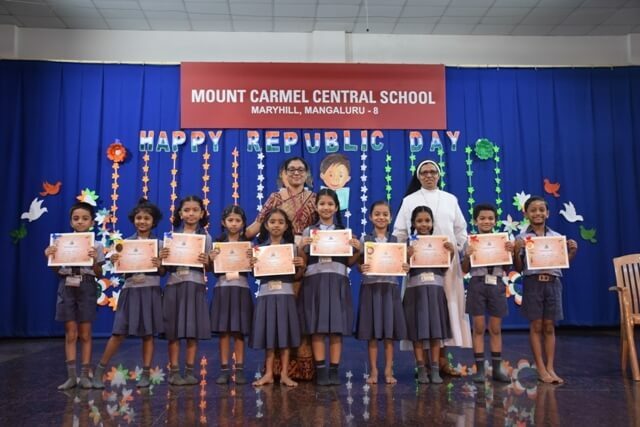 The students prayed for the Prime Minister, the President, the Statesmen and every citizen of our country. 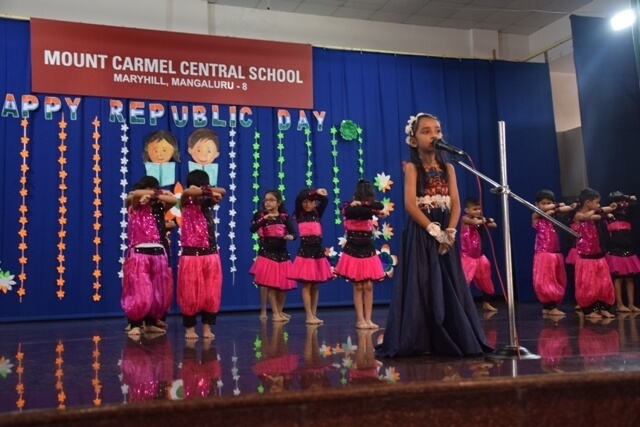 The guests were welcomed with a dance, followed by a welcome speech by Poorvi. 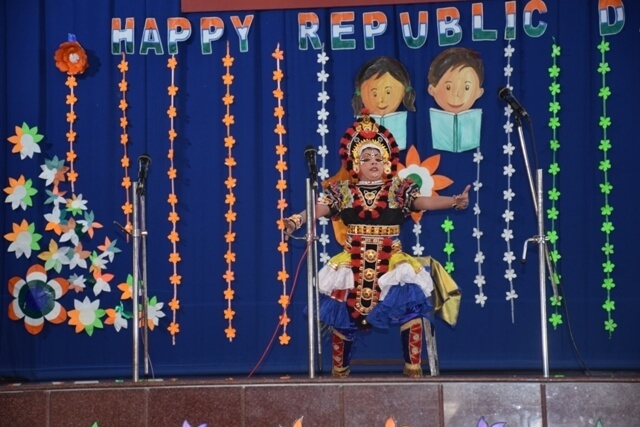 The highlight of the day was the importance of education which was well depicted through a skit. 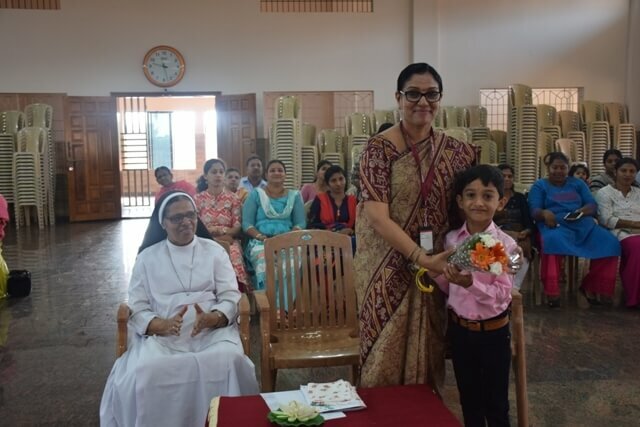 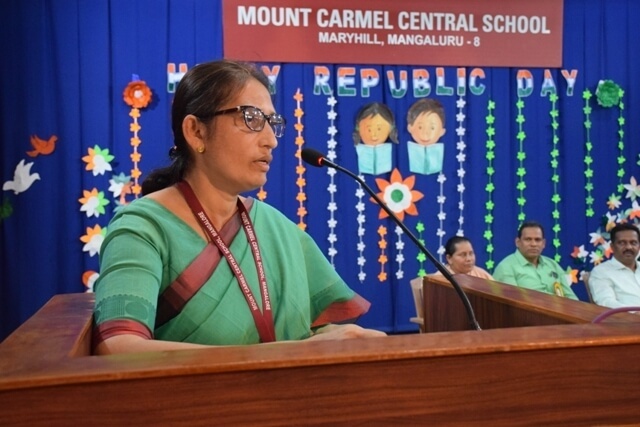 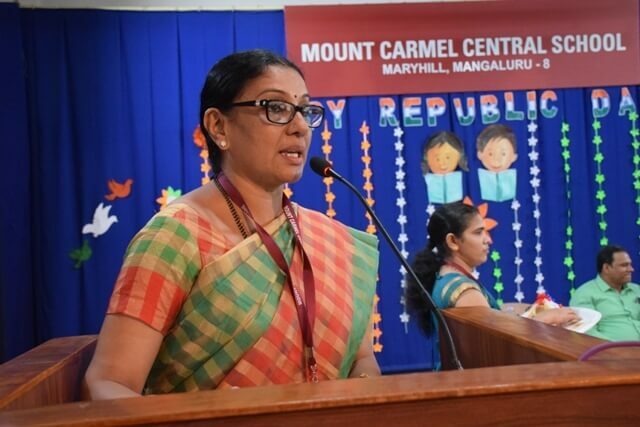 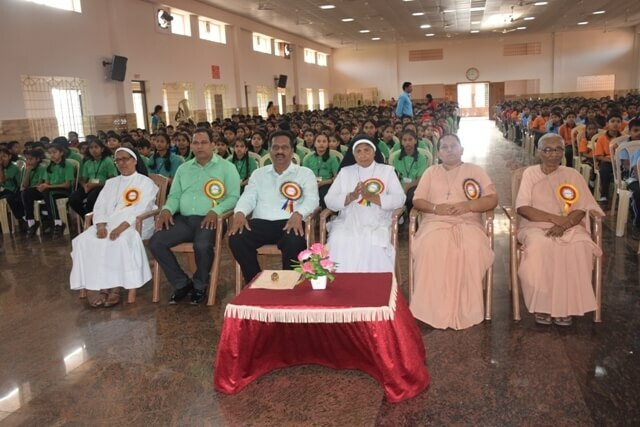 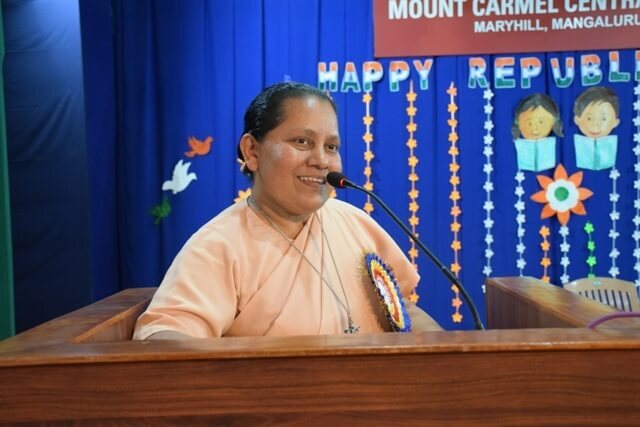 The Chief Guest of the day, Madam Rama Ramdas, in her message applauded and acknowledged the effort and marvellous performance of the students of Grade I. Madam Ramdas narrated the life and journey of Dr. B.R. 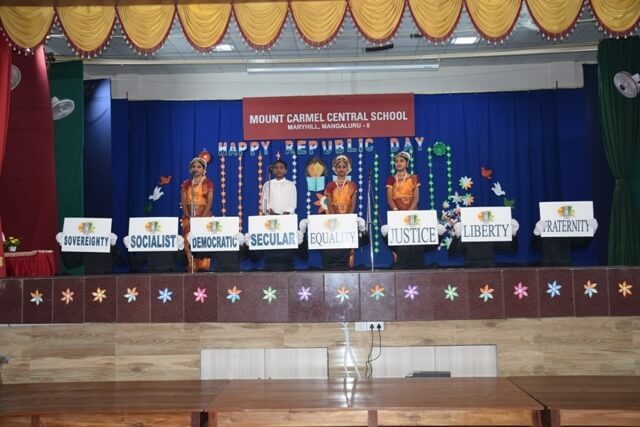 Ambedkar, the man behind our Constitution. 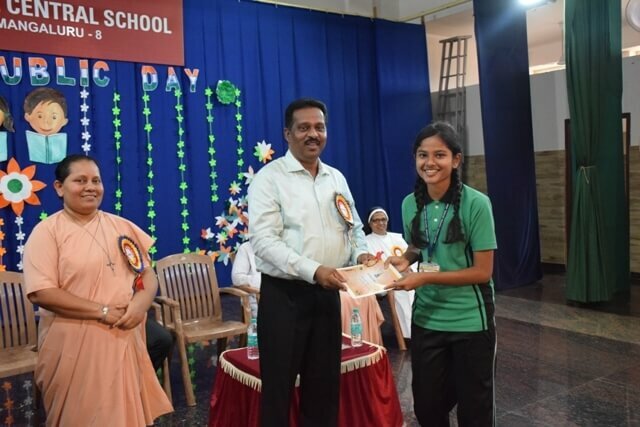 She also felicitated the winners of various competitions held during the year. 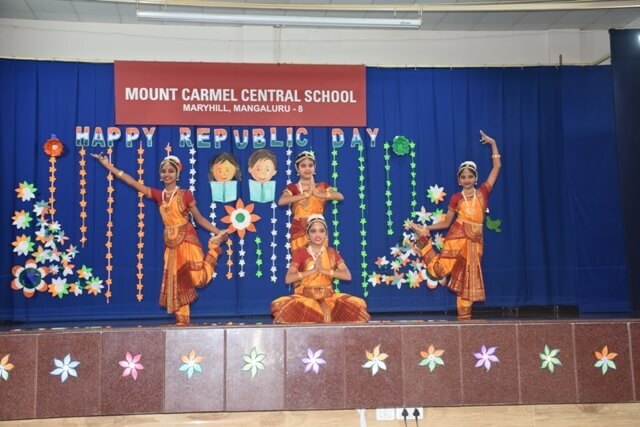 A short cultural programme consisting of a number of patriotic songs and dances made the celebration enriching.